Can you tell us a little bit about your overall experience at TEDxOdense last year? First of all, it feels like a long time ago. Back then, I guess I prepared quite a bit. There was a lot of work in the preparation phase, I remember that I went on a trip into the Himalayan mountains where I was sitting and preparing for days trying to remember this whole thing. So learning how to memorize my script with the memory palace memorization technique. Then on stage we had this idea to include the kite, that was a bit interesting. So we had a live demo on stage of the kite flying around. That went alright, but it wasn’t as smooth as planned. That was a very anxious moment while on stage. 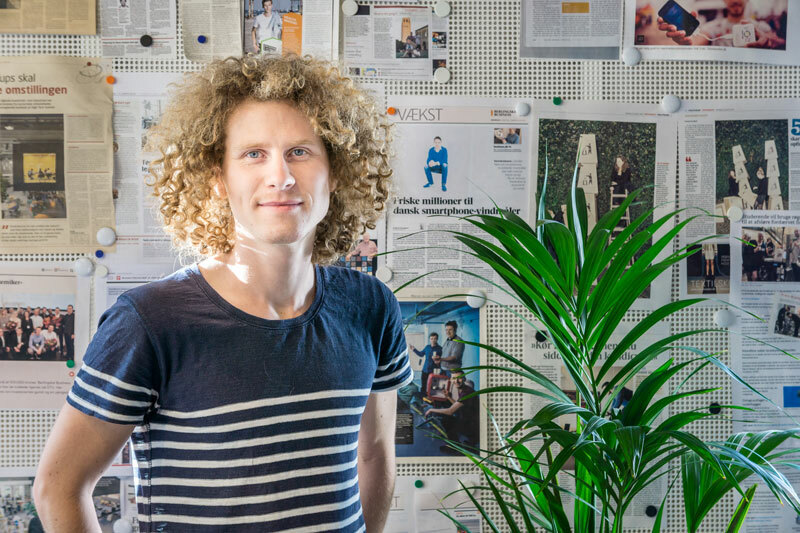 I remember working with Adam [Montandon, TEDxOdense speaker coach] on the script quite a bit. That was rewarding, a cool experience getting that kind of input. It was also quite an interesting and fun experience being done with the whole thing, that was quite a relief, and it went well I think. What’s definitely most clear is the moment on stage, I would say. Just leading up to, and then this live demo part. I also remember having a moment where I didn’t know what to say. It felt like a pretty long time standing there on stage, not knowing what to say. But I think it wasn’t so obvious. It was just a few seconds probably, but it felt like an extremely long time. I guess the whole event was pretty well organized and smooth. What made it a little more complicated was that I had a visitor, a potential business partner, at the event. So I also had to take care of her afterwards. What did you learn, or take with you, from being on the stage? I think I’m a lot more confident that I am able to deliver a presentation at such an event or in such a format. I’m not really afraid of it. If I were given the opportunity again to speak in front of hundreds of people, I would be pretty comfortable that I could do that. Given the right help with scripting, then it would likely be interesting and worth listening to. So, that’s pretty nice. In general, what I hope is that there will be more awareness around this type of airborne wind energy, which is the general topic of my work and the talk itself. That’s what I want to create awareness about because I think it has the potential to really make a difference. So getting more funding, getting more people involved in that area would be a good thing. What do you think you took with you from the process leading up to the event? All the speakers we’ve talked to, so far, have had a lot to say about their preparation and it sounds like you went into the mountains and secluded yourself as well. So how was that for you? That was quite a thing. I remember being really impressed by the work Adam did with the script. I think we were quite efficient. I had a few ideas and I sat down with him. I think we only had three sessions in total, maybe just two, but a lot happened during those sessions and it pretty quickly came together. And because I was, sort of, on vacation or remote for a lot of the time, we didn’t really have so many interactions so I had to do a lot of things by myself. At the time, I had the opportunity to do a meditation retreat in India, and I used that time to learn how to memorize the thing as well. So there were three days where I learned so much each day, learn the technique and so forth. That’s very different! What you usually do is very technical, so a meditation retreat in the mountains of India seems very different! Yeah, maybe. You could say there’s a subculture within entrepreneurship and tech startups where that’s kind of a thing. So I don’t really feel like I’m totally out of the box, I’m almost following the norm of the tech entrepreneurs. But it’s a thing I am pretty interested in and it seems valuable. How did you prepare to present? Your talk was a more technical talk, so how did you prepare to present that to an audience that wasn’t necessarily a technical audience, or an audience knowledgeable about the topic you brought to the stage? It was very much about finding meaningful metaphors for what happens on the technical side. It was important to explain some of the technical stuff in a way people could relate to and understand it. For instance, one of the key points that we wanted to get across was this idea that having two kites is better than having one kite, and it’s not just twice as good. We created an analogy to electric cars - electric cars can capture energy when they break. We try to draw analogies we think people can understand or that are common knowledge, because there were a lot of technical sections, that we needed to go through. This year’s event theme is The Edge of Brilliance, do you think you’ve ever been on the edge of something? I feel very much that this research area we are working on is on the edge of what’s possible. I think that’s very interesting, today there’s an increasing interest in Denmark in this field, with an established industry and academics. 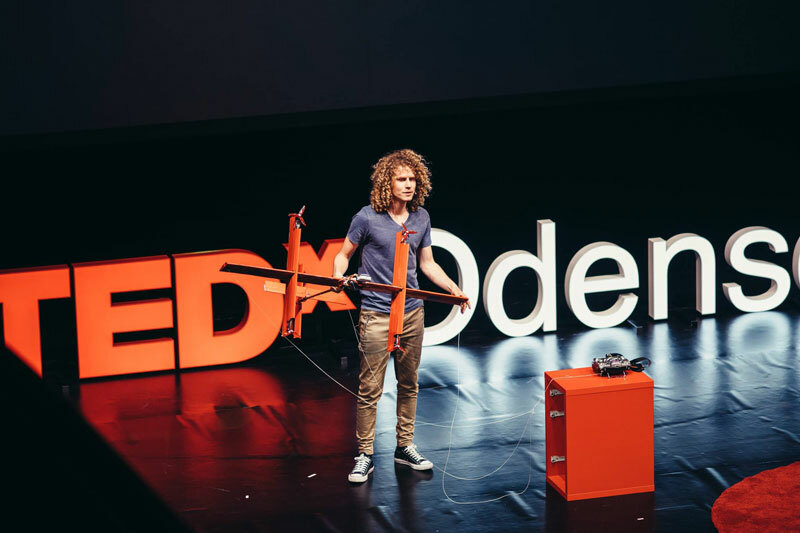 So, what have you been up to since your TEDxOdense Talk? It’s been almost a year since then, so what’s happened with you since then? At the time of the TEDx Talk, I was pretty much alone in terms of the project. 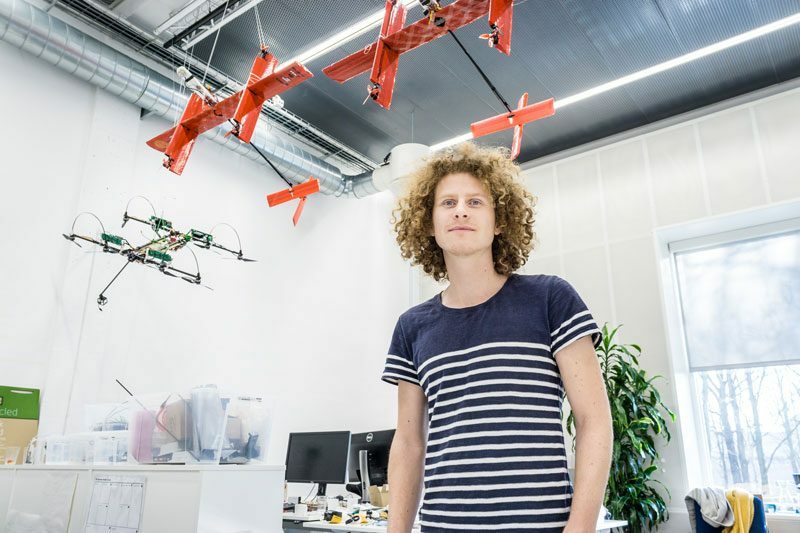 Since then we have made a partnership with the university in Munich (TUM) related to how to transmit the power through the tether, and growing the team. We are three to four people at the moment, which is a meaningful size. Also, the event coincided with funding a grant from the Innovation Fund. We have since been using those funds and working as a team towards making live demonstrations of these kite energy systems. It’s a long process to get the kites out in the real world and create energy. So one of the biggest milestones that’s just ahead is to produce the first electricity. So far it’s been about getting the kites up there, designing them, figuring out how to fly them and how to make an electronics system that’s able to both send energy up to the kite, but also down to the ground. I think we are about to test that in the coming month or so. It will be awesome to see that come to fruition since I have been working on this for three years, and then produce the first electricity. Do you have any advice for the speakers coming up this year? Advice? I would say look forward to it. It was a pretty rewarding thing, the whole preparation of the talk and also getting it all together. I’m not really sure if there’s anything to say that hasn’t been said already about how to prepare. I think you should just enjoy it. That’s good advice! And do you have any advice for the audience? I was partly the audience last year, as well. I suppose one thing you could say, is that, I would imagine you are probably more welcome than you can imagine to reach out to the speakers, directly after the talk, but also in the time afterwards. I think if you give one of these talks, then you’re probably pretty interested in interacting with the audience. Do you have anything you want to add, that you want to say about your experience, TEDxOdense, or anything about your project that we can highlight for you? There’s quite a lot of things going on with the project, and we look forward to getting more people on board, but also trying to see if we can include more partners and universities. It was a rewarding experience to be a part of it. It was also interesting how other people see that you’ve done a TEDx Talk, and the amount of importance they put on it. In particular, at the time, I was in engaging with some potential clients in Kenya. I think they put a lot of emphasis on the fact that I had been a part of TEDx, and it added credibility to the project.